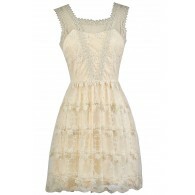 Get in touch with your inner bohemian by donning this cute little chiffon and crochet lace dress. The Gypsy Crochet Lace Dress is perfect for fall paired with boots—and it would also make an adorable dress to wear to any holiday party on your calendar. This dress is fully lined, except at the sleeves which are semi-sheer. It has an elasticized empire waist and flowy chiffon skirt. Crochet lace decorates the bust, bottom hem, and sleeves of this dress, giving it an ethereal bohemian-chic look. One of the best things about this dress is that the sleeves can be worn on or off the shoulder, creating two distinct looks. 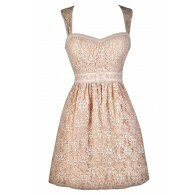 The Gypsy Crochet Lace Dress looks great in every season, depending on how you accessorize. It would look great in the summer worn with flat sandals and an oversized bag. 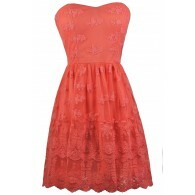 It can also be dressed up with pumps or wedges. A great fall and winter look would be to pair this dress with boots—this is a great dress that looks adorable on anyone! Details: Fully lined except at sleeves. 65% cotton, 35% polyester. Hand wash cold water separately. Color will bleed. No bleach. Hang to dry. Small measurements: Length from top of bust to hemline: 27”. Bust: 34”. 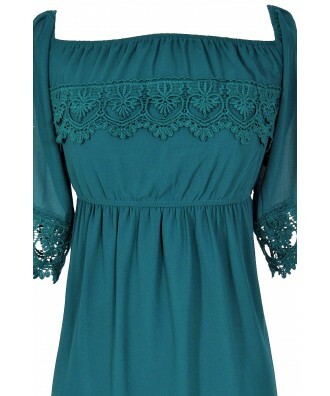 You have added Gypsy Crochet Lace Dress in Dark Green into Wishlist. You have added Gypsy Crochet Lace Dress in Dark Green for Stock Notification. 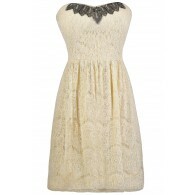 You have set Gypsy Crochet Lace Dress in Dark Green as a loved product. 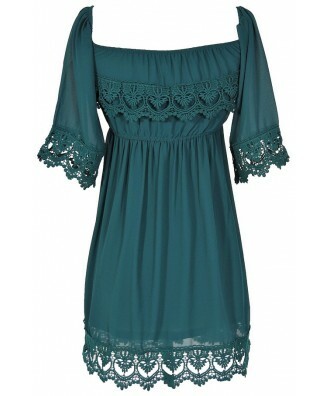 You have removed Gypsy Crochet Lace Dress in Dark Green as a loved product.